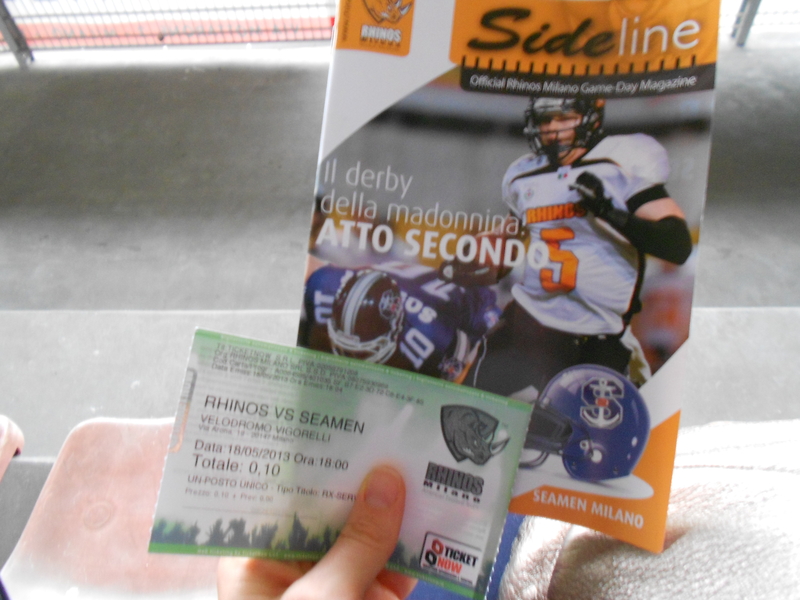 The real reason I went to Milan with my family a few weeks ago was to see my cousin play football. 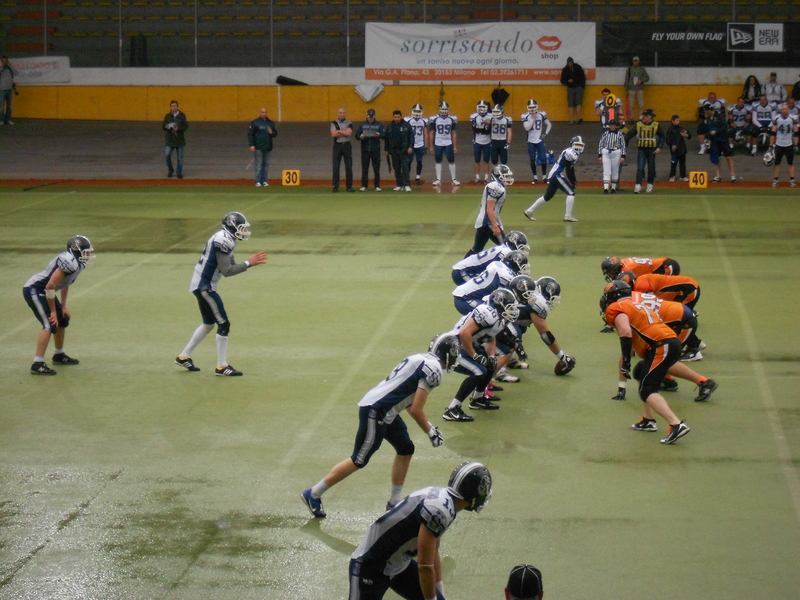 American football that is. 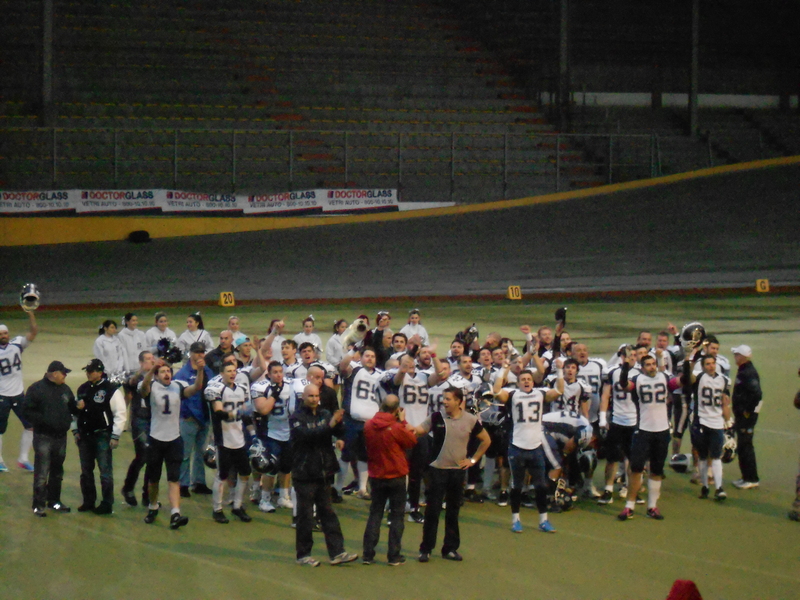 I know what you’re thinking: jump back, American football in Milan? Why, yes. 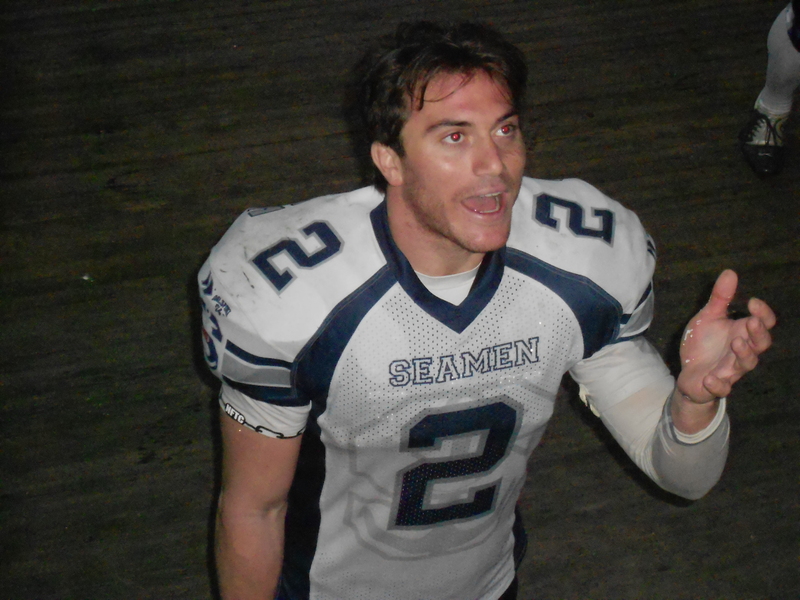 There is an American football league in Italy and my cousin is playing for the Milano Seamen (Side note: the mascot names are ridiculous throughout the league). It rained the night of game, which is typical. Whenever we have seen my cousin play football, a monsoon tends to roll through town. We’re lucky like that. 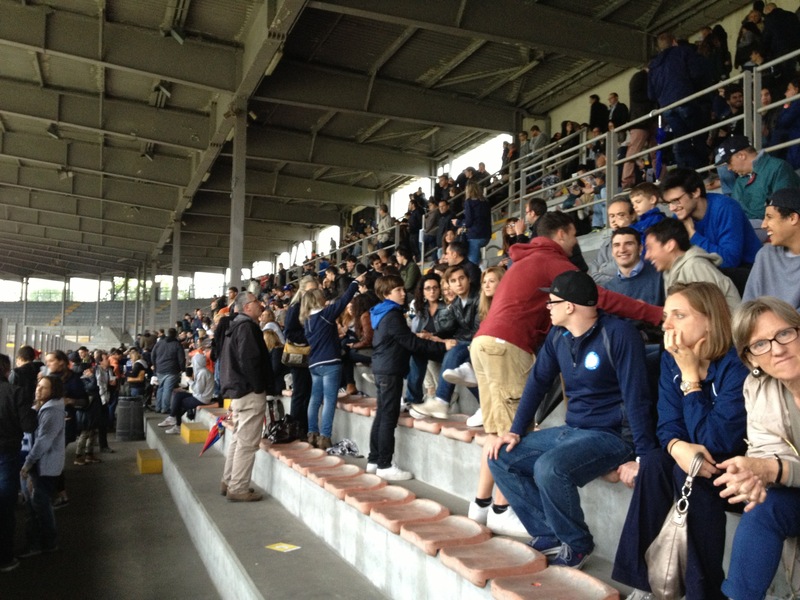 The game was in an old velodrome (a cycling stadium). Lucky for us, the spectator section was covered, unlucky for the players, the field was exposed to the elements.